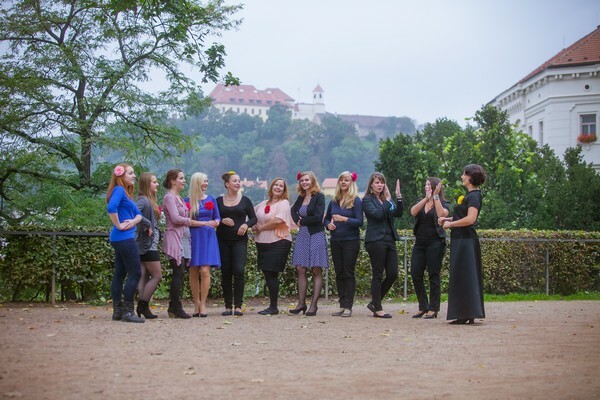 Gloria Brunensis is a women’s chamber choir, established in January 2014 by the initiative of its current conductor Natalia Chirilenco. The repertoire of Gloria Brunensis consists of a wide range of compositions that span across periods and musical genres, from polyphony to contemporary authors. It specializes in a cappella music. Despite being a young group, it has already held a number of concerts and achieved success in domestic as well as foreign choral competitions. These include a Silver Prize at the international choral competition Ave Verum in Baden, Austria, two Gold Prizes from the international competition Slovakia Cantat in Bratislava, Slovakia, and also one Gold Prize, one Silver Prize and a nomination for the Grand Prix at the international festival Mundi Cantant in Olomouc, Czechia. You will find all our achievements in past events. Born in Moldova, attended a music lycee (piano, choir conducting) until the age of 23 and graduated the Academy of Music in Kishinev, Moldova (later renamed to the University of Arts after a merge of two universities) with specialization in choir conducting. Lives in the Czech Republic since 1999, where she has received a Certificate of the recognition of university education and qualification in the Czech Republic at the Janáček Academy of the Performing Arts and a certificate of its equivalence. In the years 2000 – 2005 she led and conducted the mixed chorus Schola Cantorum in Prostějov, in 2004 – 2006 the mixed chorus Lumír in Brno. Since 2003 she was the choirmaster of preparatory choirs at the Jaroslav Kvapil Music School, where she also took up the position of choirmaster of its mixed children’s chorus Primavera. In 2012 – 2013 she led the choir of the Brno Conservatory of Music. Under her leadership, these choirs achieved significant results in international festivals and competitions. As an expert and conductor, Chirilenko has taken part in the international choir festival Bohemia Cantat 2012 and sat on the jury of the regional exhibition of childlren’s and middle-school choirs of the South Moravia Region in Brno and the jury of the national competition of middle-school choirs Opava Cantat 2013.